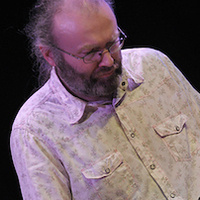 Niall Vallely possesses a unique approach to playing the concertina and has established himself worldwide as one of Ireland’s most significant musicians and composers. Since the early 1990s Niall has worked at composing traditional-style tunes. His tunes have been recorded on more than 75 albums while some of them have become ‘standards’ throughout the world. Over the past year he has released albums of new compositions and had premiere performances of new music at Liberty Hall, Dublin and the Market Place Theatre, Armagh.